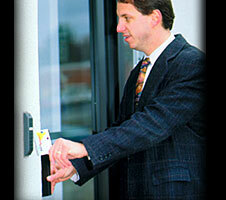 Card Access Systems offer many advantages when added to your security system. For instance, you may set your system to limit the access of either employees or visitors to specific areas of your business. You may also be able to trace the steps of employees throughout the day, as well as have an accurate means to keep track of employee attendance. If you wish to hear about these products or services in person, please click on the "Contact Us" link, and one of our security professionals will contact you. © 2008 Best Monitoring, Ltd.